The Denver Nuggets, who are the second seed in the Western Conference as of Sunday night, are in unfamiliar territory — on a losing streak. There has been only one other stretch all year in which the 37-18 Nuggets lost more than two-consecutive games: the most recent three-game losing streak that Denver is currently on and a four-game skid back in early November. The main culprit contributing to Denver’s struggles has been their defense, or lack thereof. Over the three-game losing streak that Malone mentioned at practice on Sunday, the Nuggets are posting an appalling defensive rating of 121, which places them as the 27th-ranked defense over their last three games. Denver’s defensive decline has been bad, but the issues stem much deeper than just the last three games. To begin the season, from October until the end of December, the Nuggets had a 105.7 defensive rating which was good for seventh-best in the league over their first 34 games. From when the calendar flipped to the year 2019 until now, the Nuggets have become one of the worst defenses in the league and are posting a 113.8 defensive rating which places them as the 24th-ranked defense in the NBA since the start of the new year. So, just what are the biggest issues from Denver’s drastic defensive fallout? “When you are giving up a 125 points a night like we have these last three games, it is everything,” Malone explained when asked what is wrong with the defense. That was only the very beginning of Malone’s diagnosis of the Nuggets defense and the issues they are having. Since January 1st, 2019, the Nuggets have allowed opponents to shoot 38.5 percent from 3-point range, which is 28th in the league, and have allowed 12.8 made 3-pointers per game, which is good for 27th in the league. 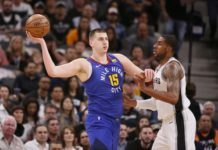 Inversely, from the start of the 2018-19 season up until January 1st, the Nuggets only allowed opponents to shoot 32.5 percent from beyond the 3-point arc, which was good for the second-best mark in the NBA and they did so while only allowing teams to make 10.3 3-pointers per game, which was the eighth-best mark in the league at that time. So, where has Denver’s 3-point defense broken down? Don’t worry. Malone has another diagnosis for that ailment as well. Yes, Malone did not shy away from calling out his players after practice on Sunday when he spoke to the media. He may not have singled out any particular player(s), but Malone made sure that he made his point. Regardless of what the situation is, for the Nuggets to be great, they have to play strong defense and take pride on that end of the court. Even with that being said, Malone was also cognizant that injuries have absolutely played their role in Denver’s defensive decline. Gary Harris has missed 23 games this season between four different injuries while Paul Millsap has missed 12 games this year between two different injuries. Those are Denver’s two best defenders and, without them, it is hard to expect Denver to remain in the top-10 in defensive efficiency. Because of all of the injuries, the Nuggets have had to rely on their reserves to step up and play big minutes, which has not helped fix the Nuggets struggles defending their opposition. Juancho Hernangomez, Monte Morris, Malik Beasley, and Torrey Craig have all played a career-high in minutes this season and they have done so in just 55 games. It is easy to see how exhaustion could be playing its role in the Nuggets’ team-wide struggles on defense. Still, even though there are excuses for why the Nuggets have lacked defensive production in 2019, Denver needs to find a way to get back into a defensive rhythm if they want to continue to get better everyday. That is why, at some point over the Nuggets three-game losing streak, the Nuggets and their coaching staff had a discussion; not a team meeting, but a discussion. 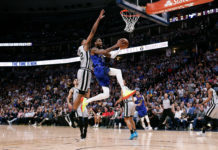 While it is easy to panic whenever anything resembling a team meeting occurs, that should not be the case when analyzing the meeting the Nuggets had. Denver’s biggest issue coming into the 2018-19 season (other than their defense) was their struggles having uncomfortable conversions. 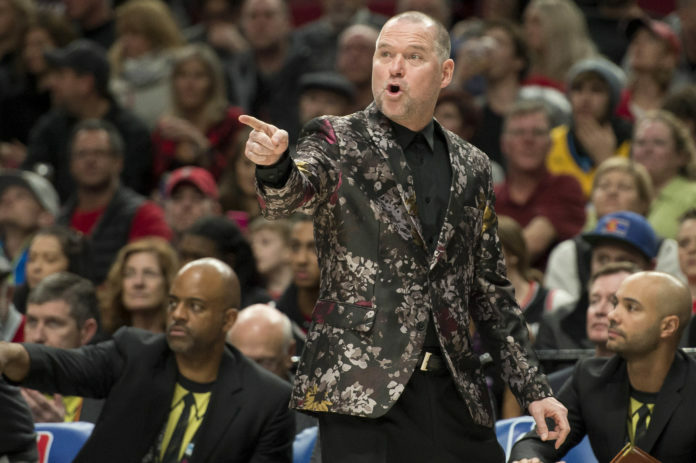 Malone has said that the Nuggets need to get more comfortable having uncomfortable conversations and this melding of the minds seems to be a positive step in that direction. The Nuggets do not have internal drama pulling them apart at the seams. This is an extremely tight-knit group of men who came together to find a way to be better than they were a week prior. Every team needs moments throughout the season that brings everyone closer and gets everyone back on the same page. That is why Will Barton made sure to remind everyone within earshot that the conversation had between them was not only important, but necessary. The Nuggets, after the best start in franchise history, now have aspirations beyond just making the playoffs. This is a Denver Nuggets team that wants to secure one of the top-two seeds in the Western Conference once the playoffs roll around. Denver is out to prove that they are one of the best teams in the entirety of the National Basketball Association and, if you ask anyone on the team, they will tell you that they will not stop until they reach their goals. 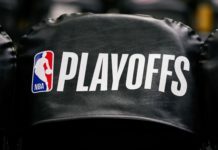 But, if Denver wants to reach their goals of making the playoffs and being one of the top-two seeds in the gauntlet of death that is the Western Conference, the only way to get there is to get back to defending with vigor and selling out entirely on that end of the floor.